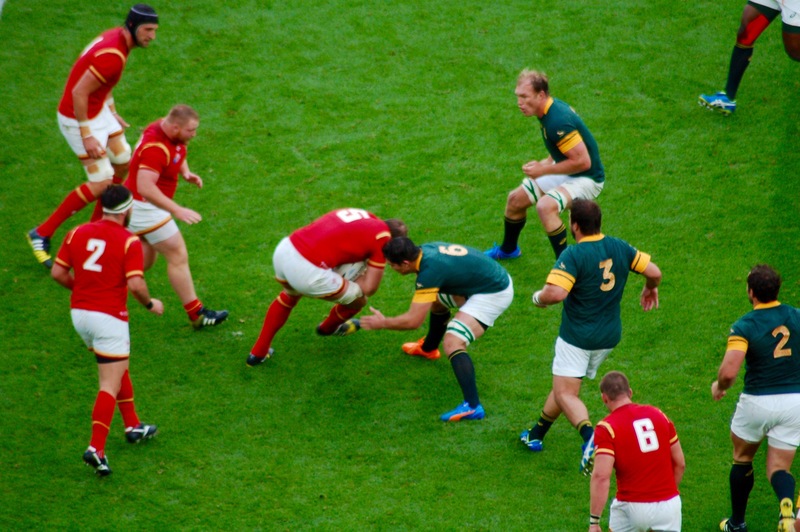 Alun Wyn Jones drives against South Africa. Wales took the halftime lead with a drop goal by Dan Biggar, 13-12. The half ended as the ball sailed through the uprights. So far South Africa has only been able to score on penalty kicks — four of them by Handre Pollard — in this first quarter-final match in the Rugby World Cup. 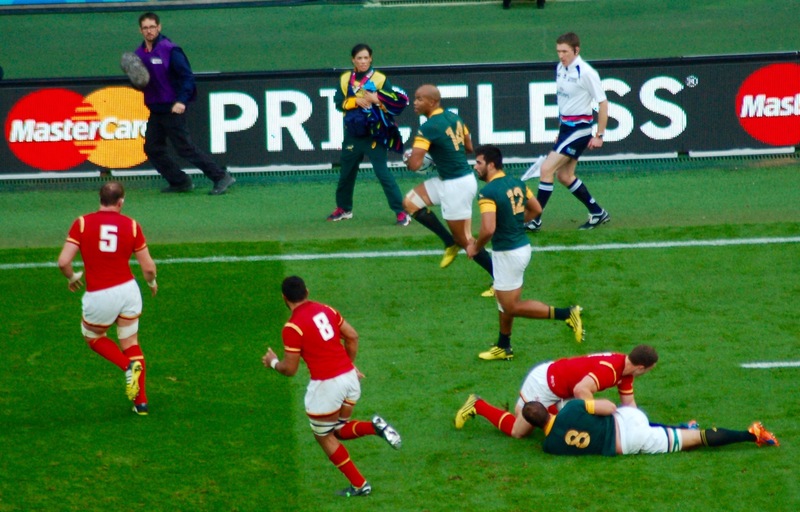 Wales has roared down the field several times but their mistakes — mostly penalties — have brought an end to good play. Worse yet, they have been guilty of offenses in their own end and Pollard has capitalized on all of his attempts at goal. Wales was lucky to stop this run by J.P. Pietersen.